This introduction to Eli Siegel’s lecture is from commentaries by Ellen Reiss in the issues of The Right of Aesthetic Realism to Be Known in which the lecture was published. In his 1949 lecture Aesthetic Realism and Expression, Eli Siegel explains that subject, Expression, in all its beauty, puzzlingness, and pain. Right now men, women, and children have the ache of non-expression: they feel that what they are inside has never come forth. Mr. Siegel is the person of thought who, with tremendous diversity and constancy, spoke for most, fought for most, and explained the need of people to be expressed: to be truly expressed in our personal lives, and in how a nation is managed and owned. He showed that the need for expression—the need to have what we deeply are become outward and add to the world—is a need as inevitable as the need to breathe, though it may go unfulfilled all our lives. Meanwhile, there has been a lot of fake expression. People have put their fists through windows to “express themselves.” A person, “expressing himself,” has said things to another which made the expresser feel awful later. To know what expression is, we need to study this principle, which is the basis of Aesthetic Realism: “The world, art, and self explain each other: each is the aesthetic oneness of opposites.” The great, beautiful reason we need to be expressed at all is: the self is aesthetic–we are in and out at once. We are bound by our own skin; we have thoughts within us no one can touch. But we are not only that. We were made to go out to things–see them, know them, be fair to them, so that the outside world can be within our minds, and what we are can add to the outside world. Eli Siegel shows that when the self goes out in thought to what things are, expression is taking place. What Arnold didn’t know—what no one before Aesthetic Realism has known—and what he would have been so thankful to learn, is that we have a desire to be locked in ourselves. When we see that desire, hear criticism of it, and criticize it ourselves—the expression we long to have comes forth! A constant opponent to expression is the feeling: I should have myself to myself; I should be in myself, for that is where I am most important, unruffled, and superior. People need to see that they will endure the pain of being lonely for the prize of being in themselves. The way I’m really expressed, says the contempt in each of us, is by having a world in myself no one knows about. It is a beautiful fact that when we learn about contempt from Aesthetic Realism, and study this principle—”The purpose of everyone is to like the world”—our real expression is born. 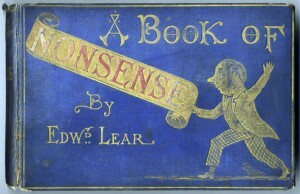 In Aesthetic Realism and Expression, Mr. Siegel discusses limericks of Edward Lear. They are, he shows, about expression. It is an honor to comment on the literary importance of Eli Siegel’s understanding of Lear. His showing that these limericks—these prime examples of what is called nonsense verse—have a definite subject at all, is amazing. His using them to explain with clear, kind logic the questions of our lives, is doubly amazing. For the poems of Lear have been thought to be as far from logic and customary life as possible. In The Encyclopedia of Poetry and Poetics (Princeton, 1965) John M. Munro, for instance, writes this way about nonsense verse as represented by Lear: “[It] is entirely dependent on the rejection of what most people consider logical…and an acceptance of the conventions of a completely different universe….It is essentially a poetry of escape, a conscious refusal to communicate anything which could be considered positive” (pp. 572, 574). As I am proud to have said on many occasions, I consider Eli Siegel the greatest of all critics of poetry. There are two aspects to this greatness. First, he has done that long sought-after thing: he has shown what poetry is, what distinguishes a good poem from a bad: “Poetry…is the oneness of the permanent opposites in reality as seen by an individual.“ Second, in his discussions, in writing and in classes, of thousands of individual poems—from the Chinese Book of Songs to Hart Crane, to a poem written that day—Eli Siegel showed what each poem was truly about. His criticism was never an academic literary exercise; it was real, thrilling comprehension. That is why William Carlos Williams said, after hearing Mr. Siegel discuss Williams’ poetry: “It’s as if everything I’ve ever done has been for you….When you say it, it’s plain. You make it plain” (The Williams-Siegel Documentary, eds. Baird and Reiss, p. 94). That is what Edward Lear would have felt, had he been able to hear Mr. Siegel’s discussions of “The Owl and the Pussycat,” “The Jumblies,” and these limericks. Lear would have understood what impelled him to have people stuck in kettles, and have them also go “to sea in a sieve”; and he would have been proud. stands for the greatest human fact I know: that Aesthetic Realism is the means to understand every person. For our depths can seem as strange to us as a poem of Lear, and as unknowable. Yet Aesthetic Realism explains us. Factually, beautifully, it explains Edward Lear and you.